This looks like it could be another one of my friend Stuart's photos taken with my camera. I will ask him. Here's Stuart's reply: "Dear Lizzie, Yes! It's definitely one I took that day - well spotted! I took it just after taking the one of Paul with Martha on his lap, which you also found. 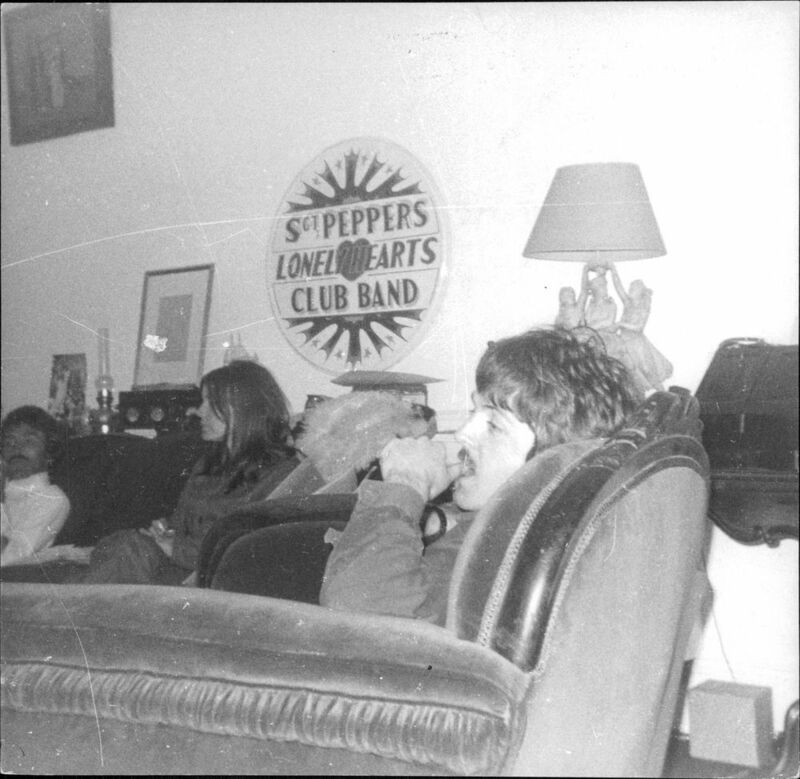 That's Terry Doran on the left edge of the shot and Maggie McGivern on the sofa. The original, as you know, was in colour, so I don't know where this print came from. I hope you and the family are all well. Now I am on a mission to find a better copy of this photo to include in the English version of my book. Stuart's full story of that afternoon he spent with John, Paul and Mick Jagger, among others, and photos are seen (for the first time ever!) in my book "Do Rio a Abbey Road", in Portuguese, which I self-published and is almost sold out. I am working on the translation. If anyone can help look for that photo, it would be greatly appreciated! Cant wait for The english version!